Cullen ponders, I wonder if I should kiss her? Three thousand Greyhounds weren’t the only ones attending the 8th annual “Greyhounds Reach the Beach” event held in Dewey Beach, Delaware. Also attending was Betty White, who was the keynote speaker at the famous Sunday Brunch and raffle fundraiser which raised about $10,000 for the Morris Animal Foundation Canine Cancer Fund. Brunch attendees welcomed Miss White with opened arms and she appeared to be quite taken with Greyhounds and their human companions. Betty White is far more than and actress and comedienne extraordinaire. 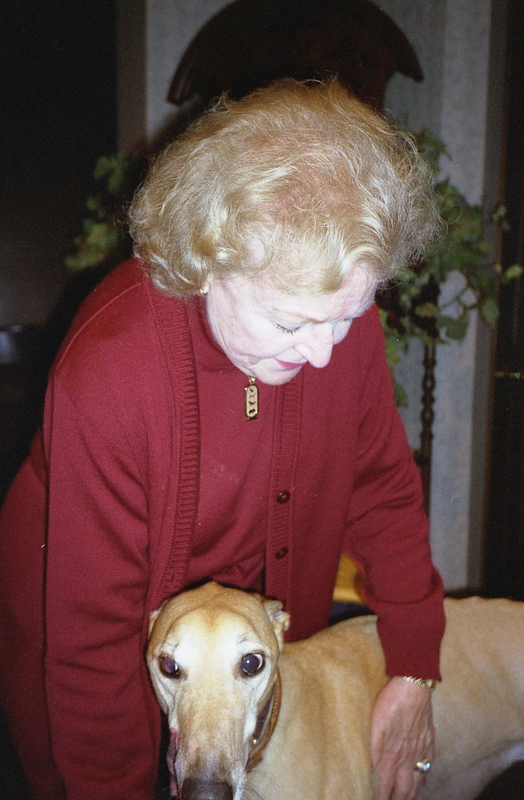 Although some remember her as the lascivious Sue Ann on the Mary Tyler Moore Show and as Rose, one of the sweet Golden Girls who once brought home a retired racing Greyhound, Betty White has a serious side, too. She has been deeply involved with the Morris Animal Foundation for 30 years and has been a long-time, hands-on volunteer at shelters and zoos in the Los Angeles area. To welcome Miss White, The Greyhound Project hosted a small “Welcome to Dewey Beach” reception at 8 p.m. on the Saturday night before the brunch. Her plane was late due to the messy weather and she didn’t arrive until 9:40. Meanwhile the guests were getting edgy and our dogs, identical littermates Cullen and Merlin, a.k.a. The Blues Brothers, had been cooped up in the van for almost 3-and-a-half hours, with only one quick trip out in the interim. Our energetic fawn twin dogs are the epitome of “cool” most of the time (hence the nickname), but my traveling companion, Ann Penfield who owns Merlin, and I knew the boys were getting even more restless than the guests by now. Although given plenty of opportunities, Cullen hadn’t relieved himself since 7:30 AM! A private kind of guy, he despises eliminating on lead and does it only when absolutely necessary. Merlin, a seasoned traveler who had “done Dewey” before in addition to other trips, had gotten over his shyness in the elimination department; he was not in Cullen’s dire shape. Ann and I knew he was probably crossing his legs, too, though. As we were leaving to empty the dogs, in walk Betty White and her traveling partner, Dr Rob Hilsenroth of the Morris Animal Foundation. We all cheered mightily and gave the guests of honor a standing ovation. Ann and I apologetically excused ourselves, telling Miss White we would return as soon as we emptied said dogs. “You have Greyhounds here?” Miss White inquired. “Yes, we sure do,” I responded. She asked if we would bring them in when they were finished and I said, “We’ll try!” In inimitable Betty White style, she added, “Promise?” I responded, “Yes,” again, wondering how the heck we would pull this off because dogs in a restaurant are a big no-no. Cullen in an desperate moment. We finally emptied the dogs. 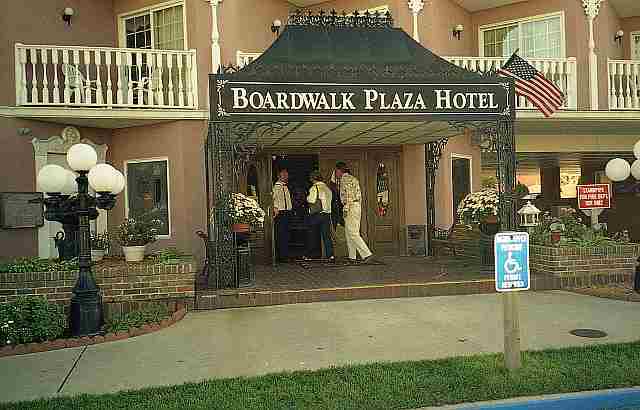 As we walked towards the boardwalk, a police officer told us, no dogs on the boardwalk. 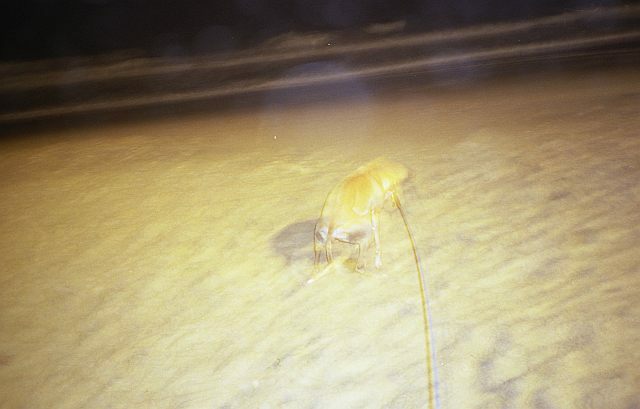 So, two drenched women and two drenched but handsome fawn Greyhounds began to enter the front door of the Boardwalk Hotel which leads into Victoria’s Restaurant. Ann whispered to me “But dogs aren’t allowed in there!” I responded with “I know but follow me. We’ll find a way.” I knew just opening the door would get someone’s attention fast. It did indeed. We tried to get past the doorman but no luck. A staff member of the very elegant establishment eyed the bedraggled group about to enter the regal hotel with an odd mixture of horror and amusement. At first the gentleman shook his head no, held up his hand in the stop position, and met us at the already half-opened door. He was as polite as the police office had been and said in a well-modulated voice, “Sorry, Ma’am. 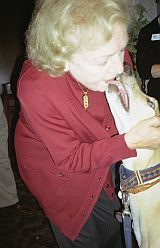 Dogs aren’t allowed in here.” I pleaded my best case, convincing him that Betty White really did request that we bring them in to the private reception room so she could meet them. We couldn’t disappoint such an important guest, could we? He mulled it over for a split second, decided to please Betty White, and said, “Wait, I think I know a way to get you all inside. Follow me.” At this point, Ann and I couldn’t tell if we were doing a Laurel & Hardy routine, Abbott & Costello, or playing the Keystone Cops. The doorman probably risked his job to take us in the back door. 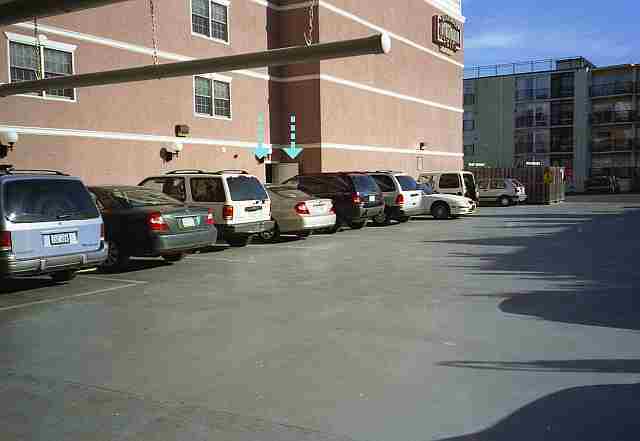 We needed to get through a closed parking garage and across an open lot behind it to get to the doors – without anyone seeing us. We followed the swiftly-moving gentleman, rushed off the landing outside the front door, trotted past the parking garage entry driveway, hopped a low wall, ran past some parked cars, and stepped into an open, nondescript door at the side of the building that could have lead to a storeroom for all we knew. We flew down a flight of carpeted stairs, one of which had a delectable plate of food on it. The boys ignored it; they had a mission, after all: to impress Betty White. They made their grand entrance to cheering and general hoopla. The Blues Brothers were “on.” Incredibly, these normally private dogs knew it was time to make a huge public splash. They succeeded. When Miss White saw them, she unabashedly kissed and hugged them repeatedly, asked their names and ages (not our names mind you, but who cares?) and got herself a first rate dog fix. (Miss White has a Golden Retriever at home.) The boys co-operated and gladly returned the massive doses of affection. Cameras were flashing and the boys continued being flawless showmen. While they were at it, the boys did every basic trick they knew (sit, down, stay, shake hands, and more) and were just generally well-behaved, entertaining, and most of all, adorable. Celebrating Greyhounds Magazine editor Cindy Hanson showed up at my side and whispered out of the side of her mouth that the meat on the roast beef tray shouldn’t go to waste, so she arranged for someone to package a nice take-out container for the boys. They saw it coming and promptly sat, asking to have some right then and there. They had a taste of heaven and also ate very well at their next couple of meals. When the reception ended Miss White and the boys again exchanged enthusiastic goodbyes just as they had exchanged rapturous hellos. The Blues Brothers got their version of an Oscar or Emmy that night. They got a Betty!